Fitting out at Daewoo shipyard. Thanks Vlad, any actual drillship cancellations that you are aware of over the past recent years? 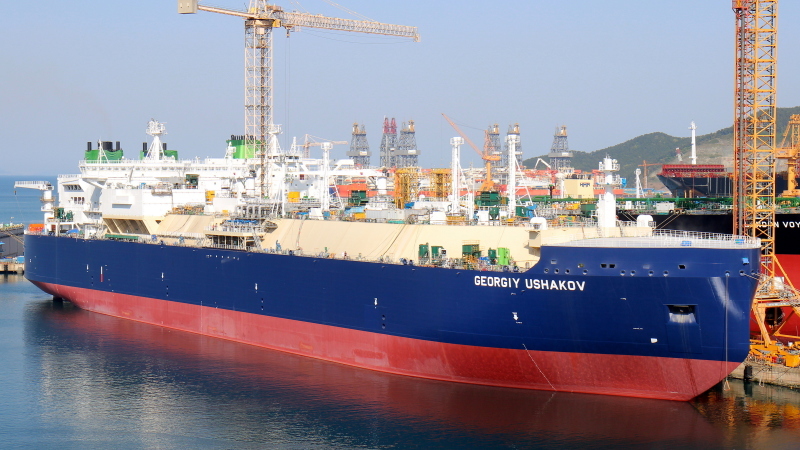 Out of 7 drillships, at least 2 are up for delivery in the first half of this year: "Sonangol Libongos" and "Sonangol Quenguela", the latter being currently on sea trials. The others are scheduled for delivery in 2020 - and even if already completed and just waiting at the yard, they will still require some additional commissioning work to be carried out. So, beside the already mentioned two hi-spec 7th generation ultra-deepwater drillships, the others are: "Atwood Archer", "Atwood Admiral", "Cobalt Explorer", "West Vela" and "West Aquila". All of them were postponed due to known circumstances in the offshore industry. just wondering about all those drillships in the background, have they been completed and subsequently left idle at the yard?